To make our Feast of Weeks more fruitful, meaningful and memorable we will be studying a verse a day (hoping to memorize many) with the children. May YHWH open His word to us and write it on our hearts! I have included links on the verses that I have collected a graphic for. "The house of the wicked will be overthrown, But the tent of the upright will flourish." 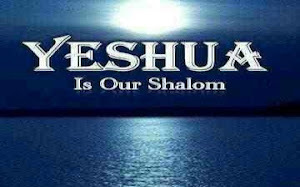 and HAVE THE TESTIMONY OF YAHSHUA MESSIAH." I will praise Elohim's name in song and glorify him with thanksgiving. In the beginning was the Word, and the Word was with ELOHIM, and the Word was EL. The fruit of the Spirit is love, joy, peace, patience, kindness, goodness, faithfulness, gentleness, self-control. Against such there is no law. Happy is he who keeps the law. And reproofs for discipline are the way of life. I agree that the law is good. for you serve the Adonai Ha Mashiach (master, the Messiah). petition, with thanksgiving, present your requests to Elohim. That YHWH your Elohim is Elohim; he is the faithful Elohim, keeping his covenant of love to a thousand generations of those who love him and keep his commandments. "Here is the patience of the holy ones, those who keep the commandments of Elohim, and the faith of Yahshua." If any of you lacks wisdom, let him ask of Elohim, who gives to all liberally and without reproach, and it will be given to him. Fear Elohim and keep His commandments: for this is the whole duty of man. Are we then nullifying the law thru faith? No. May it be we are sustaining the law. Blessed is everyone that fears YHWH, that walks in His ways. I have swept away your offenses like a cloud and your sins like the morning mist. Return to Me. For I have redeemed you. But a woman who fears YHWH, she shall be praised. I, even I, am YHWH; and apart from me there is no saviour. I believe that I shall see the goodness of YHWH in the land of the living. The grass withers, the flower fades, but the word of Elohim will stand forever. May they know that you alone, whose name is YHWH, are the most high over all the earth.